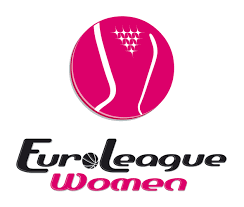 After being on break for the EuroBasket Women 2017 qualifier Euroleague teams will be back in action beginning on December 2nd. In group A Familia Schio and Fenerbahce both sit atop the standings with a 4-1 record. Those teams are followed by Dynamo Kursk and Galatasaray who both have records of 3-2 to round out the top half of the group. These top teams can create some separation in their group if they are able to find success during round 6. Good Angels who are currently in 6th place in group A will take on 5th place Villeneuve d’Ascq this round. Villeneuve d’Ascq are coming off a huge win where they knocked off 3rd placed Dynamo Kursk at home. Good Angels lost last round and are in a must win situation if they want a chance to make it out of group play. Galatasaray will take on Perfumerias Avenida at home. Avenida who sits at the bottom of the group with a 1-4 record are also in a must win situation if they want to make it out of group play. A win for Galatasaray would keep them in the top half of the group. This should be a good game as Avenida played Turkish rivals Fenerbahce close in the last round. The most exciting game of this round will be betweenFamilia Schio and Fenerbahce. The two top teams in group A will battle it out in Italy. Schio who has been pretty consistent throughout the competition and are very good at home will look to take sole possession of first place. Fenerbahce who are coming off a win should know the importance of this game and will use their depth to wear down Schio. I wouldn’t be surprised if Fenerbahce steals one on the road. Group B leaders UMMC will travel to Turkey to take on AGU Spor. The only undefeated team in the competition haven’t missed a beat since the start. After fighting off Castors Braine in round four they bounced back and handed Girona a convincing loss in round 5. Agu Spor will be coming off a huge win in domestic play where they knocked off group A’s Galatasaray. Agu Spor is a dangerous team that are very capable of pulling off the upset. Sanders has been excellent for the Turkish squad and will be tested when she goes against Griner on the block. Agu also reloaded as they added Chelsey Gray to their roster. Im calling a close one that will go to UMMC. Second place Nadezhda Orenburg will take on last place Wisla Can-Pack. Wisla won a thriller last round and finally got a W in the win column. The win should boost their confidence but they will be heading to Russia to take on a very tough Orenburg club. Let’s just say they probably will not be getting win number two this round. Third placed USK will take on Girona at home. USK who started off the competition slow have found their way as of late and have had some very convincing wins. Girona on the other hand are still looking for win number two and without Gray leading them this round they are in trouble. USK should win and keep pace with the top half of group B. Probably the best game of the round will be between Bourges and Castors Braine in France. Bourges who lost to last placed Wisla last round are in a must win situation if they want a chance to make it out of the bottom of the group. Castors are also in a must win situation as they were dominated by USK last round. Both teams should be hungry for a win which should make for an interesting game. Not sure who will take this one but i’m going to go with Bourges because they will be on their home court.